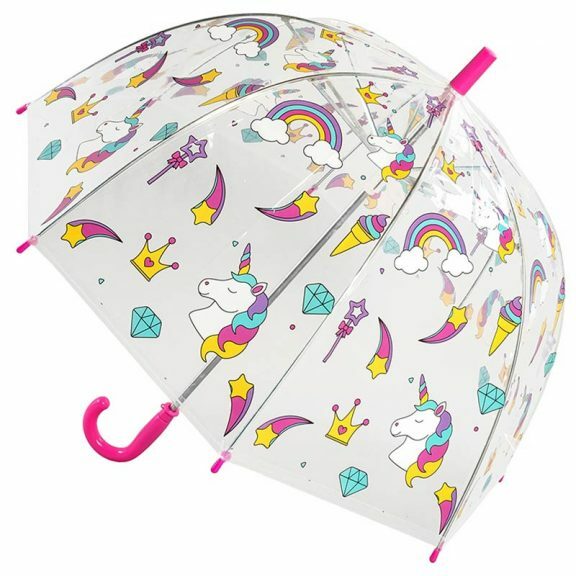 This is the kids Unicorn Umbrella brand new to our childrens range at Umbrella Heaven. 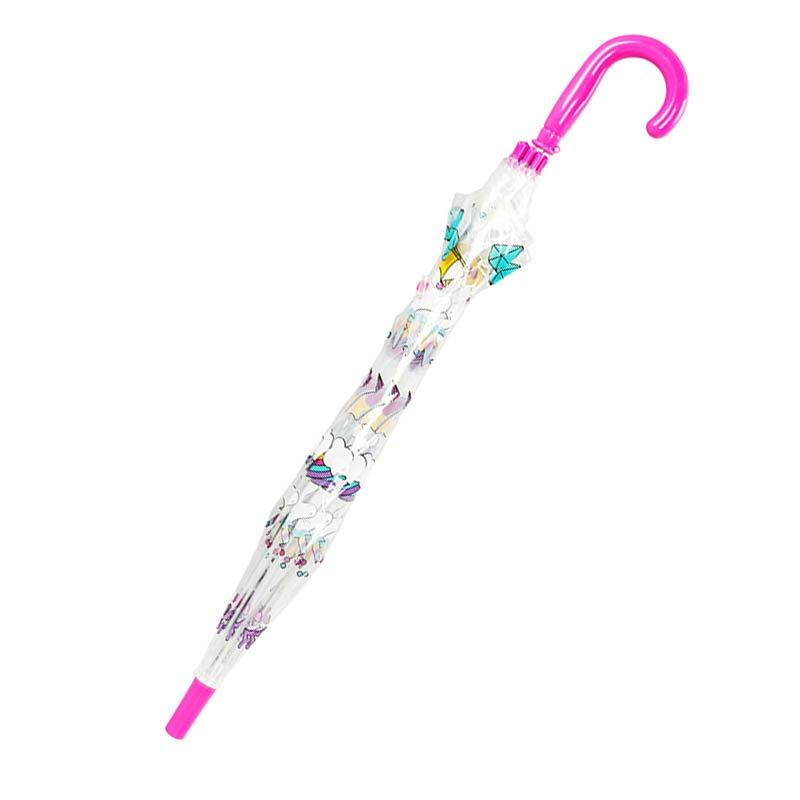 This heavenly clear dome umbrella has the elusive mythical beast printed on it’s canopy. This is the Kids Unicorn Umbrella brand new to our children’s range at Umbrella Heaven. 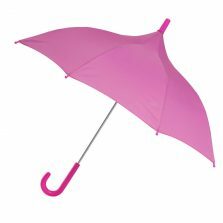 This beautiful little umbrella must surely be every little girls dream come true. With it’s pink crook handle, tip and spoke tips and colourful prints of the legendary Unicorn, crowns, wands and shooting stars on the canopy, it’s almost too much to take in. What little girl, or boy would not like this? Bang on trend and beautiful as well! Encourage your little one to be a Unicorn in a field of horses. The canopy width on this cutie is approx. 68 cm (27″) making it the right size for younger children who will love to get caught up in the magic of the Unicorn. 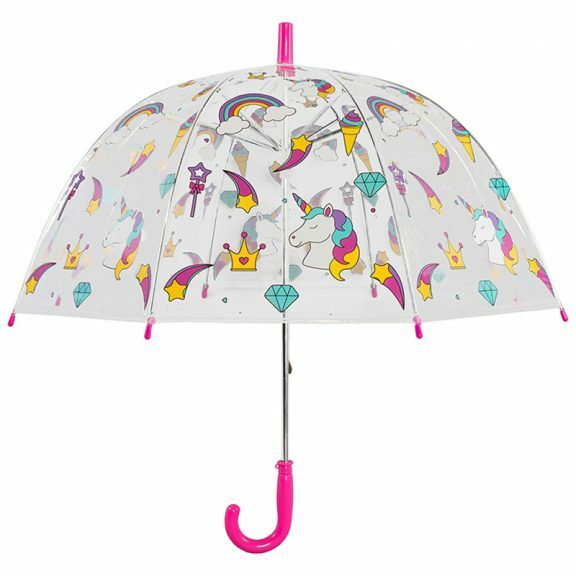 The clear dome of the umbrella means your little one can watch where’s she’s going and watch Unicorns dancing before her eyes at the same time. Dr Seuss said – ‘Sleep is like the Unicorn – it is rumoured to exist, but I doubt I will see any’. 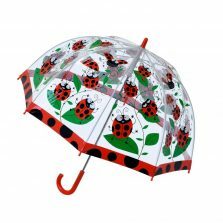 We have an awesome ever-growing collection of children’s umbrellas here at Umbrella Heaven. 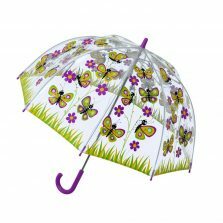 If the mystical Unicorn does not work it’s magic and call you to buy it, why not take a look at our other childrens umbrellas. 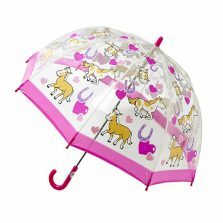 I have just received delivery of the Unicorn Umbrella. I was very impressed of how it was packed. I haven’t opened up the Umbrella as it’s a Christmas present for my 4 year old Grandaughter but it looks lovely. I know she will really love it. Plus I got a free gift. I will definitely recommend Umbrella Heaven to my friends & Family. My 4 year old daughter is over the moon with this umbrella. Good quality and lovely design she can’t wait for it to rain.